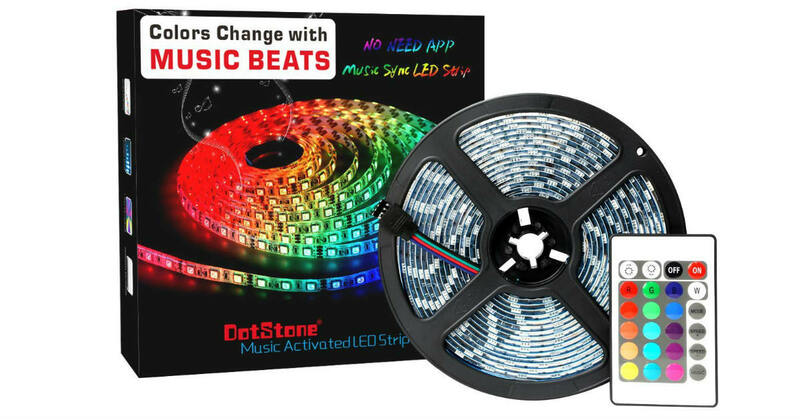 Head to Amazon and clip a digital coupon to get this LED Strip Lights for only $22.59, regularly $59.65. These lights change color and sync with music. Depending on the genre of music, the lights colors will change to follow the rhythm or melody. No need to connect it to Bluetooth or download apps. Support 16 colors looks like rainbow lights, 11 brightness levels, 3 dynamic modes: static, fade and flash.